Folio Contact Flipchart is the innovation for presentation. It’s writeable with all conventional permanent-marker. This film adheres electrostatically to almost every surface without the need for additional adhesive or other aids. Therefore, no residues remain, even after the film is removed. Spontaneous meetings can be held at any place you want. It is a big advantage to stick the sheets everywhere and have a good alternative for a normal flipchart. 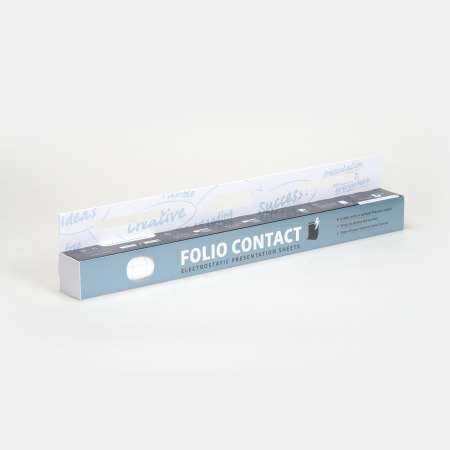 Folio Contact Flipchart is individual printable with HD-Flexo. You can have your company logo, claim or any other advertisement on it with up to 8 colours (MOQ ca. 240 rolls). 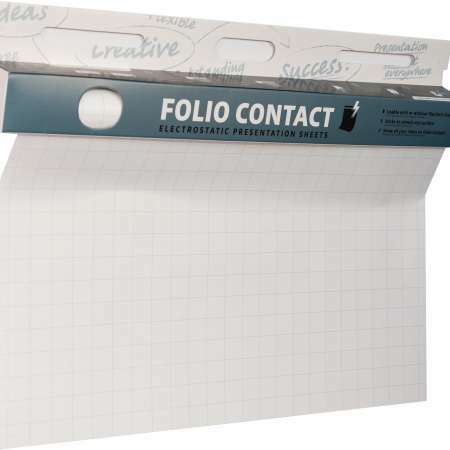 Folio Contact Gridded is an environmental friendly Flip-Chart Media, made of Polypropylen. It has been developed and been produced by NOPAR International GmbH and patented under: EP 1326918 B1. FolioContact is a special produced 3-layer coex cast PP-Film. The mid Layer is able to take on ionisation and keepit for at least 5 Years, depending on the storage conditions, packed and boxed at40-50% rel. humidity, at 18°-22°C. The 25 sheets in the size of 600mm width and 800mm length can easily be separated from the roll at the provided perforation line. Each sheet adhere to virtually any surface without any other tools, such as adhesive or pins disputes. The film is ideally suited for use with permanent markers. When using dry-erase whiteboard markers, it will be not possible to clean the film surface again. Due to the printed surface treatment it will leave ghost writing to the surface alternative for 100% erasability, we recommend the product Folio Contact Erasable. For further details please contact NOPAR International Inc. In addition to the standard version, Folio Contact can also be individual imprinted, for example with a company logo up to 8 colours. 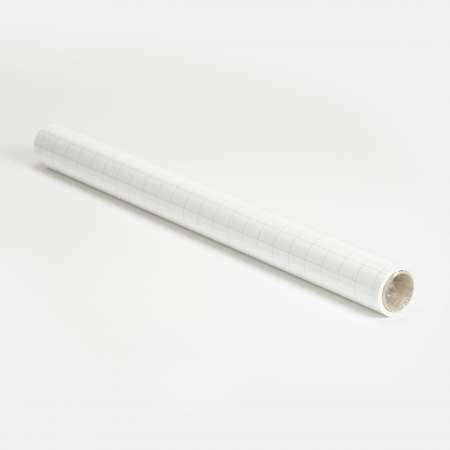 The minimum order for this is based on the complex printing technology at about 240 rolls. Folio Contact can be recycled, can be disposed with the yellow bag and capable for energy recovery. Safety data sheets can be requested if necessary.